These French vanilla cake mix ideas are a change from the ordinary. If you are ready to use up that box of vanilla cake mix, and want to make something different, then take a peek at the end of the page. If you are in a hurry and need to make a quick dessert, then look no further. These quick recipes (sweets too) are really fun to make and taste great. Pillsbury Super Moist French Vanilla box cake mix - goes for a dollar and some change at Wal-Mart, or use your own favorite mix. The first recipe of my vanilla cake mix ideas involves a little coconut. Bake the cake according to the directions on the cake box and bake it in a 9x13 inch pan. After it comes out of the oven, drizzle the cream of coconut over the cake and top with coconut. PREHEAT oven to 350 degrees. Grease and flour 10-inch Bundt pan. Combine cake mix, pudding mix, eggs, water and oil in large mixing bowl. Beat at medium speed with electric mixer for 2 minutes. Fold in 1 cup coconut. Pour into prepared pan. Bake for 45 to 50 minutes or until toothpick inserted in center comes out clean. Cool in pan 25 minutes. Invert onto serving plate. Mix sugar and milk in small bowl until smooth. Drizzle over cake. Sprinkle with additional coconut, if desired. Garnish the top of the cake with toasted coconut. To toast coconut, spread on baking sheet and bake at 350 degrees for 3 minutes. Stir and bake 1 to 2 minutes longer or until light golden brown. My next French vanilla cake mix idea is for bars and they are delicious. PREHEAT oven to 350 degrees, and spray a 9x13 inch pan. Combine the cake mix and butter. Cut butter in with a fork until it resembles coarse crumbs. Mix all remaining ingredients, except chocolate chips. Pour the batter into the pan. Bake for 16-22 minutes. Cool 15 minutes. In a small saucepan over low heat melt chocolate chips until stirring consistency. Drizzle over cake. Cool for 1 1/2 hours. Here’s another vanilla cake mix idea – easy and tasty. PREHEAT oven to 325 degrees and grease a 9x13 inch pan. In a bowl, add the vanilla cake mix, butter and egg – press into prepared pan. Mix cream cheese, 3 eggs and powdered sugar and pour this over cake mix. Bake for 35 minutes. This vanilla cake mix idea is a great way to have kids (or big kids) create their own cookies. See photo above. I added oatmeal and coconut. PREHEAT oven to 350 degrees and you will need a ungreased cookie sheet. Combine the cake mix, eggs and oil. Mix well and add the ingredients you like – mix in. Drop by rounded teaspoons onto cookie sheet. Bake for 9 to 12 minutes. My next vanilla cake mix idea is another kid friendly recipe - so easy they could be made by a five year old. Mix ingredients well till no lumps remain. Stir in 1 cup of your favorite candy pieces, chocolate chips, dried fruit, or nuts. Cover and chill while heating oven to 350 degrees. 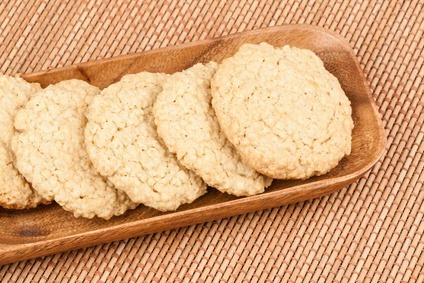 Drop by teaspoonfuls onto parchment paper lined cookie sheet, 2 inches apart. Bake approx 9 to 12 minutes - check at 9 minutes and keep an eye on them. Cool 2 minutes on sheet and then transfer to a rack or foil lined counter top. Store covered. You really need to keep these cookies 2 inches apart as you place them on the cookie sheet. You may only get six cookies, but if you bake them close together, they will spread and stick to each other. We are moving from vanilla cake mix ideas on to chocolate. Do you love chocolate? Here is an example to use for a chocolate cake mix. If you want, you can use peanut butter morsels, frost them with peanut butter, or eat the peanut butter right out of the jar (I love peanut butter). See above for more cookie ideas. In a bowl, combine cake mix, butter, brown sugar and eggs by hand. Fold in the chocolate chips and drop by spoonfuls onto ungreased cookie sheets. Bake for 8 to 10 minutes. Bring out of the oven and let cookies set on the cookie sheet for 5 minutes, then transfer to wire rack.